You know, for years and years golf has been considered a gentleman’s game, little do a lot of people know, that women’s golf has been around almost as long as the men’s game. All the pioneers of women’s golf are deceased now but believe me their legacy’s lives on. Which in turn has catapulted golf for women today. Many people do not realize that the ladies’s pro golf tour, more commonly know, as the LPGA has been around since 1950. Which, it the longest lasting professional women’s sport ever. There is more opportunity for women to excel in golf today than ever before. It has been a long struggle for the women in golf to gain the respect and notoriety that the men receive but they are well on their way to doing so. The stars of the current LPGA are setting a standard to give their tour a very bright future. Look at some past stars like Annika Sorenstam, Lorena Ochoa, Christie Kerr and Nancy Lopez, they have set a standard and have passed the torch to some of today’s stars like Michelle Wei, Paula Creamer, Lexi Thompson and many other young women golf stars from all around the world. Through the years the LPGA has grown tremendously. More and more young professional women golfers are coming along making their sport even more popular. Their T V exposure has increased letting more young girls at home see them play and are starting to think golf is cool. Their prize money is growing, their endorsement deals are improving making the sport that much more enticing to other prospective young golfers. 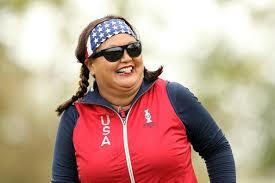 Because of the growing popularity of women’s golf today many women are starting to take up the game of golf. Many mothers are getting their daughters involved in golf if they show an interest in it. 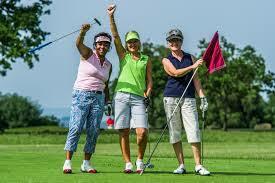 Many golf courses, country clubs and resort courses are starting to cater to the women golfer. Some even offering free lessons to children or special group rates for a family. More women are realizing that when they get good enough either from lessons or just learning on their own at the driving range, they can actually keep up with the men. Golf courses are set up where the men tee off from one tee box and the women have their own tee box, up a little closer, thus making it a level playing field. Another thing a women has going for her is that golf is more of finesse and flexible sport not a sport of brute force. A lot of men get up on the tee take a mighty swing at the ball and rarely are the results good, whereas most women’s are taught to just go up and take a nice easy swing and strike the ball. More times than not the shot goes right down the middle of the fairway. That is the name of the game. Keep the ball in play and you will score well. There used to be a time when a woman would feel totally intimidated standing on a golf course next to a man getting a golf tip, but those days are long gone. Women have come to the conclusion that you do not need brute force to hit a golf ball and or play well. All you need is a golf exercise program to build your strength and flexibility. The first thing you need to do is put together a golf specific exercise program. Golf uses many muscle groups other than your basic gym workouts. You can put together your own golf specific program by doing your own research, or you can go to a golf fitness instructor and have him or her put together a program for you. What ever direction you decide to take there are always three things you have to follow diligently. Commitment: You have to commit to yourself that what you are doing is really going to benefit your golf game. Get yourself a journal or just a notepad and write down the goals you want to achieve with your exercise program. Once you do this you need to totally commit yourself to meeting the goals that you have set for yourself. Discipline: No matter what, you are going to need plenty of discipline to stick to your exercise program. You cannot wake up one morning and make excuses for not wanting to exercise today. This is where you need the discipline to follow through with your exercise task for this given day. If one day calls for core exercises then do the core exercises. If it calls for stretching do your stretching. This is what will get your golf game where you want it to be. 3. Dedication: There is no doubt that there will be times when the going is going to be tough. This is when your dedication is really going to come into play. The difference in those that go on to improve their golf game and those who do not, is dedication. There are going to be times when you say this just not working for me but you need to stay dedicated, getting into great golf fitness does not happen overnight. If you commit, discipline and dedicate yourself to your exercise program, the difference in your golf handicap will certainly reflect your hard work. It used to be back in the day that the man of the family would go out on Saturday morning and meet up with his buddies at the golf course or country club and spend the day golfing and hanging out. Back then there were hardly any women golfers. Some courses and clubs would not even let women play on their course. Boy has that changed in recent years. With the emergence of such women’s golfing stars, most notably Annika Sorenstam, golf has started to catch on more and more with women. Women have started to get tired of dad going out for the entire day and have fun playing golf with his buddies and leaving his family behind. Even kids want to start playing golf because of the likes of Tiger Woods and other superstar PGA players. Golf courses are realizing how much their revenue can grow by getting entire families playing golf together. They are even offering lessons at greatly discounted prices to make this happen. Golf is now becoming a great family pastime. Two or three families can get together and play a round of golf and make an entire day out in the great outdoors together. Golf vacations are becoming more popular than ever. All over the country where the weather is always warm and sunny golf resorts are in abundance. Many resorts are really catering to family golf vacations, offering lessons for everyone in the family. 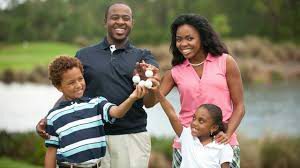 Once it’s time to hit the golf course a family can go out confidently and play their round of golf enjoying each others company while doing so. After golf the entire family can go out sightseeing and enjoy the local restaurants where they are staying. A vacation like this just makes for a wonderful time that the entire family can enjoy together. Golf for women today is here to stay. It is growing by leaps and bounds every day, so men move over and get used to it. 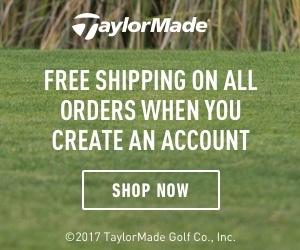 This might be a blessing for your golf games men. You might decide to train harder and practice better in order to improve your game. After all, YOU DON’T WANT TO GET BEAT BY A GIRL. I hope you all have enjoyed my article here about women and golf today. As always please feel free to leave a comment below if you have. It would be much appreciated.